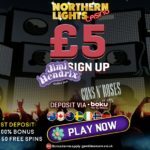 €/£/$5 No Deposit Bonus at Energy Casino! Play NetEnt! Get a €/£/$5 No Deposit Bonus when you sign up at Energy Casino! Energy Casino features games from Novomatic and has recently added Net Entertainment (NetEnt ) Slots. The Countries that are allowed to take the no deposit bonus offer are: United Kingdom, Holland, Hungary, Finland, Iceland, Belgium, Czech Republic, Ireland, Latvia, Norway, Russia, Slovakia, Slovenia, Spain, Sweden, Australia, Canada & New Zealand. The max withdrawable amount from the no deposit bonus is €/£/$100. The wagering requirements on winnings from the no deposit bonus is fifty times. 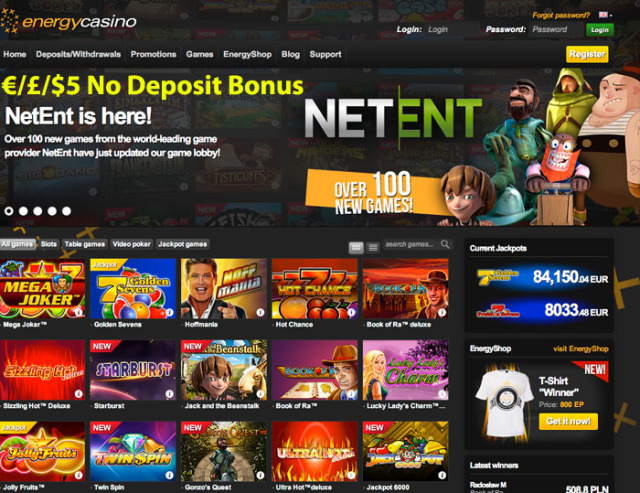 Energy Casino also offers a pretty good welcome offer on your first 2 deposits. 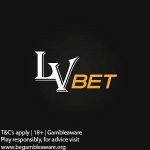 On your first deposit, get a 100% bonus up to €/£/$200. On your second deposit, get a 50% bonus up to €/£/$300. Restricted Countries at Energy Casino: Austria, Switzerland, USA, China, Israel, Italy, Denmark and France. LIMITED OFFER! 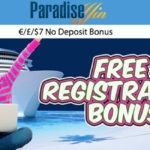 ParadiseWin Casino €7 No Deposit Bonus up for grabs until 7 April 2017! ALL NEW Players! 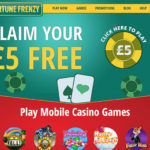 Claim your Fortune Frenzy free £5 bonus today. Posted in Netent Casinos and tagged Energy Casino No Deposit Bonus, No Deposit Bonus. ← Williams Interactive WMS Free Spins Casinos + No Deposit Bonus Casinos Too!